A material database is a great way to store material data according to their type, physical characteristics, mechanical properties, and standard classifications. This makes material databases a great tool for any engineer, and with the rise of the internet, these have become accessible by everyone from everywhere – another powerful tool in the engineer’s arsenal that has become readily available. Below is a list of the 10 best among the hundreds in existence, so make sure to bookmark this page just in case. Please note that this is not a sponsored post, and so I tried to select the best online material databases based on their searching features, database size, usability, volume of information, and other useful features. Moreover, each of the following websites have strengths of their own, so they are all best suited for a different category of engineers. This is the website of one of the largest online scientific and engineering communities in the world, so finding a rich database of materials in it is pretty much to be expected. 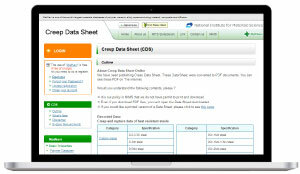 Not only are they offering a rich alloy database which categorizes the various alloys by their material classification or the companies that market them, but they also offer a failure analysis database for various materials, a medical materials database, a micro-graph database, and a corrosion analysis material database. 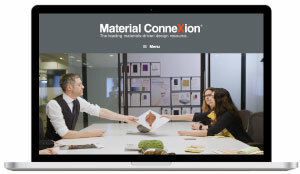 Material Connexion offers a rich database of polymers, glass, ceramics, cement-based, carbon-based, and metallic materials, full with details and pictures for every entry. You may search for materials by name, by their physical or mechanical performance properties, or even their sustainability and availability. The only prerequisite and drawback is that you will have to apply for a membership before accessing the database, but it is well worth the trouble. 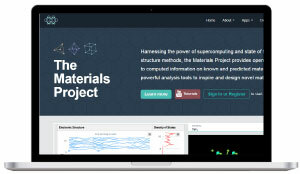 Materials Web is a large database of structural, electronic and thermodynamic data for materials viewed in 2D or 3D modes. 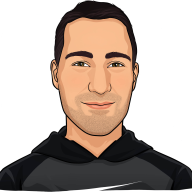 Featuring a powerful API that allows you to write Python code to help you characterize any material. More geared towards those who create and work in the research and development field, it still remains a great tool for searching materials of others through their online platform once you log in to it. 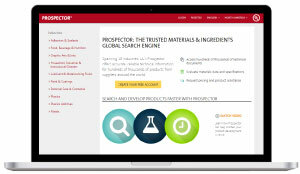 The UL Prospector offers access to humongous material databases that are categorized as per their type and field of application. The details on each material entry are really impressive, containing even descriptions on the history of the specific material, its datasheet, the company that owns its distribution rights, and the retailing details. For the engineer’s perspective, the categories of metals, plastics, coatings, lubricants, sealing materials, and industrial cleaners, are all very important. 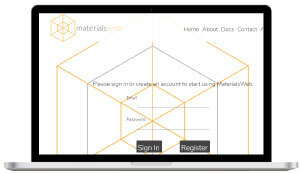 The website of the Materials Project is an interactive exploration site that is suitable for casual browsing and educational purposes alike. The searching capabilities are truly staggering, with a combination of elements, search as you type, search by formula, commercial IDs, or even crystal structure type. 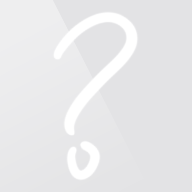 The database even offers individual categories for batteries, crystals, and molecules. 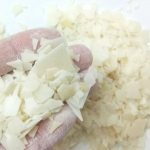 This website is mostly focused on the exploration and evaluation of the physical properties of various materials, so it has a special practical value for certain engineering categories. 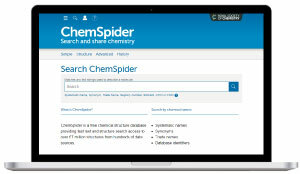 This website is a huge database of chemical structures connected to other individual databases from other sources. The result is a staggering 58 million items at the disposal of the visitor, searchable by ID, name, trade name, or even registry number. The search engine is a “search as you type” kind and the results contain physical properties, software predictive analysis, spectra, supply vendors, etc. 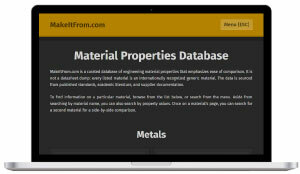 MakeItFrom is a great tool for the engineer, containing a rich material database of metal alloys, polymers, and ceramics, focusing mostly on the mechanical properties of each material, its thermal properties, and provided the most common and useful calculations for them. 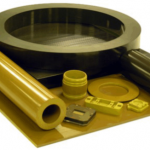 Examples include stiffness to weight and strength to weight for both bending and axial, as well as the thermal shock resistance. The alloy composition is also given through an intuitive diagram, as is all kinds of data on this website that uses a clear color pallet and design in overall, making it easy to browse. Unfortunately, there is no search function, but the MakeItFrom website still remains a great resource for the modern engineer. The website of the National Institute for Materials Science contains a rich set of databases for engineering purposes based on their designation and properties. 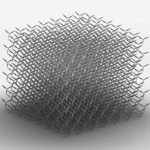 Here you may find data sheets about the latest materials created in the lab, their special purpose properties, and their detailed analysis. To access everything you will need to login to the database, and to print out data sheets you will need a special permission for it, but it is still doable if you need it. 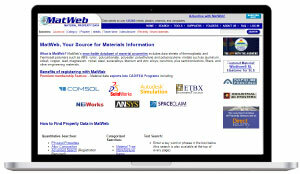 MatWeb is a large material database of searchable materials categorized by their physical properties, alloy composition, material type, manufacturer, trade name, or even its UNS number. It is practically very useful for people who want to search for something that has been released and actually used in the market, containing over 120000 database entries. 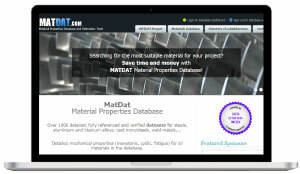 Finally, the Matdat Material Database is yet another engineer-focused online material database that features over a thousand of data sheets for steel, aluminum, cast iron, and titanium alloys. The results are focused on practical engineering, with mechanical properties being on the forefront and provided in a nicely formatted and downloadable PDF. 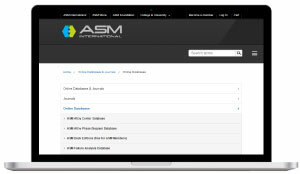 Finally, I should also point out the unique searching feature of Matdat that allows its visitors to set by standards such as ISO, SAE, and ASTM, and the exact designation.